Made with ❤️ by the Ecommerce Magazine team. 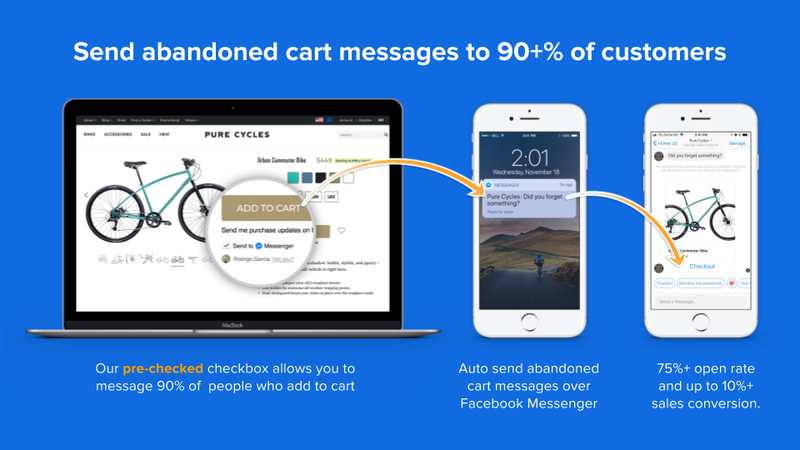 Send Facebook messages to 90%+ people who abandon their carts. Send abandoned cart messages to 90%+ of customers. 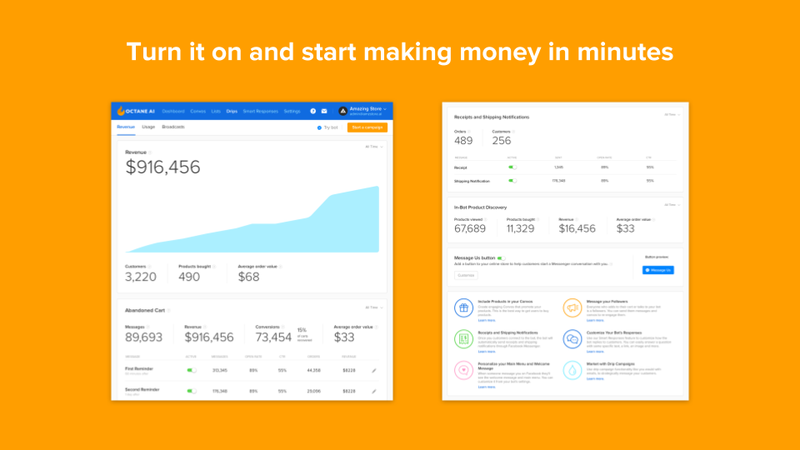 Built in campaigns for sending receipts, shipping notifications, follow ups, upsells, custom, and more. Most stores see over 10% in increased revenue. Set up only takes a few minutes. An average of 75% of people who add something to their cart will never complete their purchase. Right now you send abandoned cart emails to the customers you have email addresses for (wooo!). But...you only have 5-20% of their emails, so the majority of these customers just vanish into thin air. You have no way to contact them (booo!). 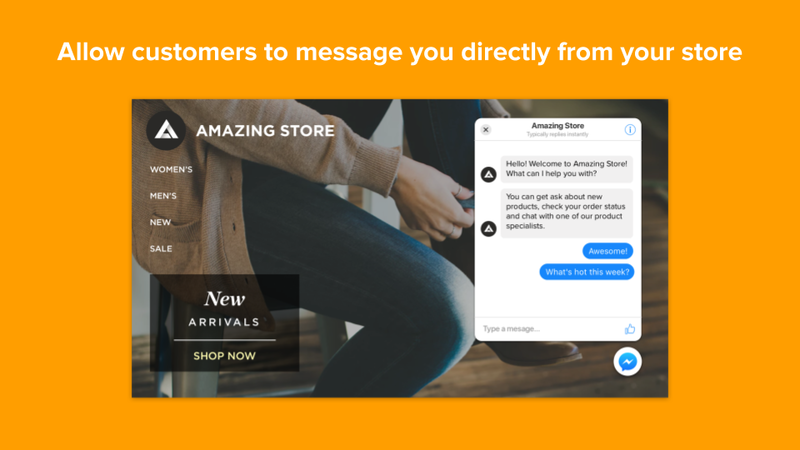 Octane AI's Messenger Marketing platform enables you to send follow up messages to over 90% of people who abandon their carts (and you don't even need to get them to do anything new). 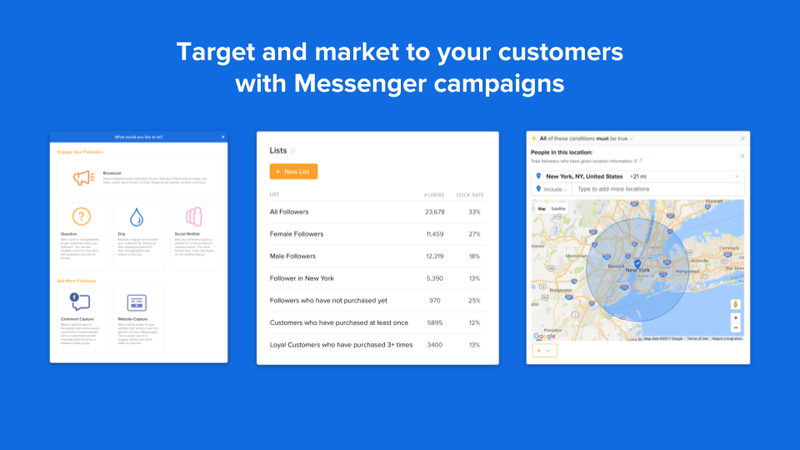 Messenger marketing campaigns get higher open rates, click through rates, and conversion rates than email. Welcome to the future of marketing automation. What are you waiting for? Setup an automated and interactive chatbot to supercharge your ecommerce business. Octane AI is the only chatbot platform dedicated exclusively to ecommerce. Octane AI adds a tiny Facebook-powered pre-checked checkbox below your Shopify store's "Add to cart" buttons. 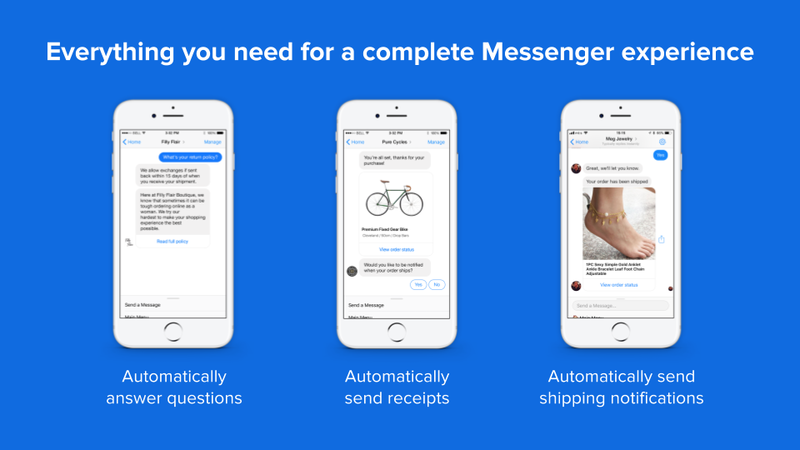 Whenever a customer clicks "Add to cart," they are automatically saved by Octane AI, their shopping actions are tracked, and abandoned cart campaigns are sent automatically over Facebook Messenger. Every message sent from your Octane AI concierge is 100% customizable by you. Craft your messages to represent your brand and delight your customers. Octane AI Product and Gift Finders help guide customers to the product they want to buy. Octane AI Smart Responses let you create conversational responses to the most common questions your customers ask. You no longer have to answer the same questions all the time! Customers can easily opt-in and opt-out of future messages with the click of a button. We care deeply about the customer experience and customer satisfaction. Use your Octane AI revenue dashboard to track conversions, volume, average cart value, recovered revenue, and more. 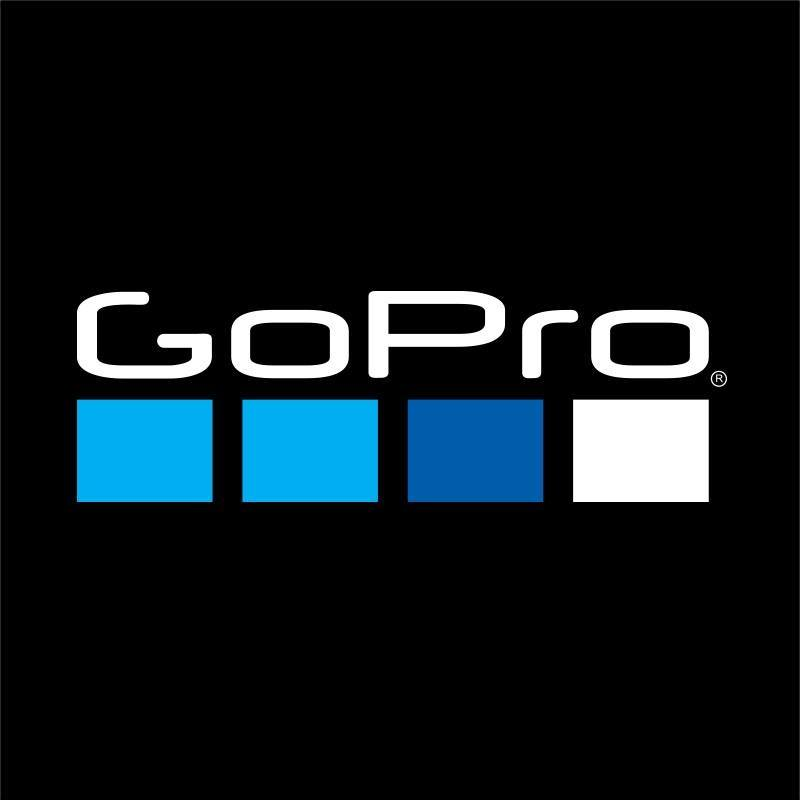 We show you every data point you would ever want to see about your store. *Designed to scale with your business. *Free for 15 Days. *$99 / month for 4,000 Abandoned Cart Messages *2.5 cents per additional Message *This plan is scalable to any type of store, no matter if you are just starting out or if you are #1 in your industry. Octane AI was built by a team hailing from Stanford, Northwestern, Google, Mashable, and Etsy. We're backed by top-tier investor General Catalyst.